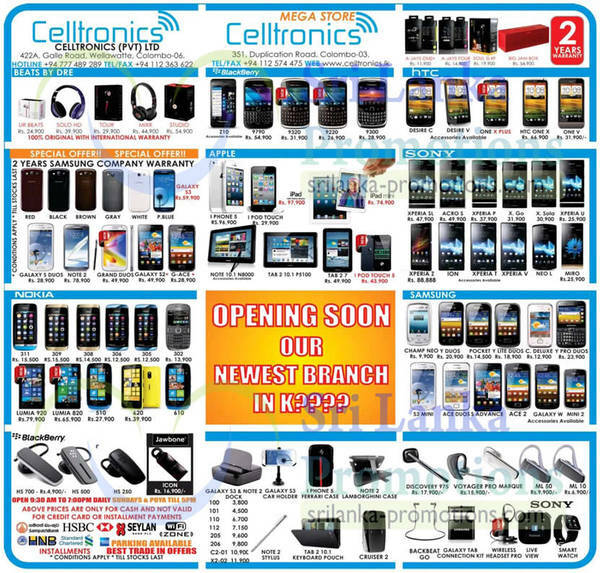 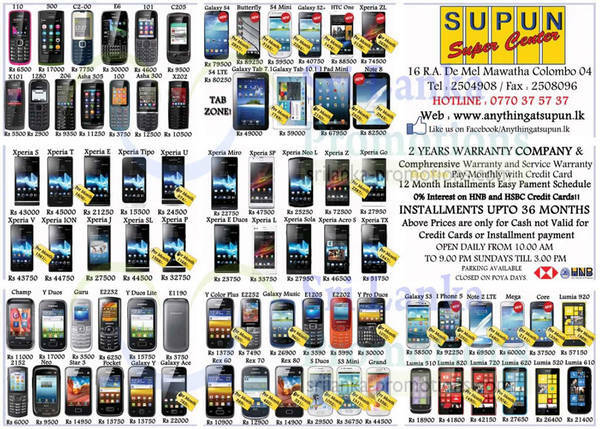 Check out Supun Super Centre mobile phones and smartphone offers. 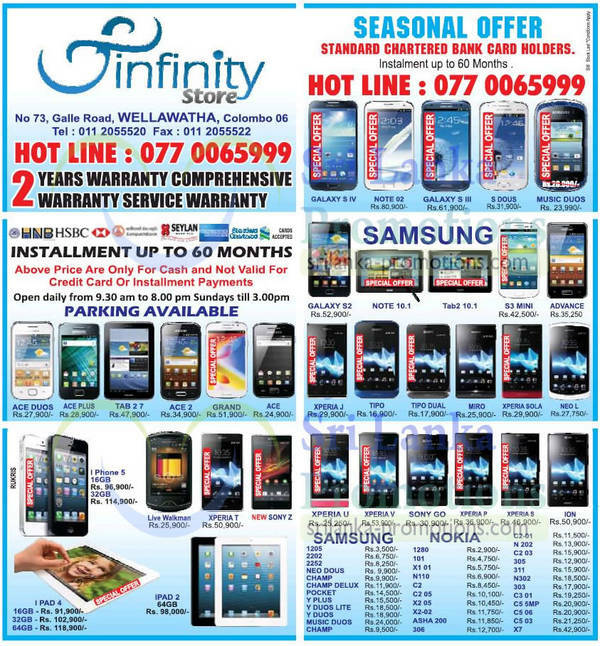 Visit their outlet at 16 R.A. De Mel Mawatha, Colombo 04 to get more offers. 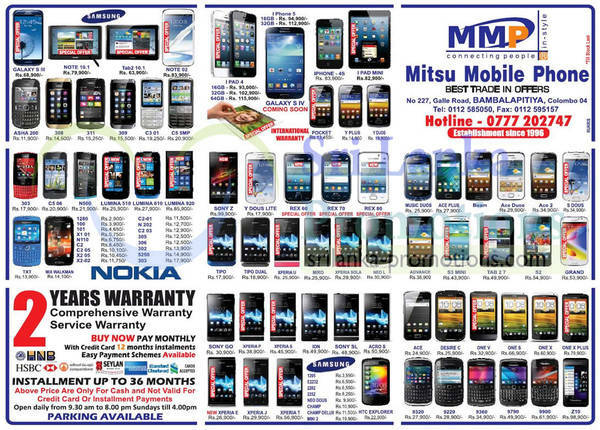 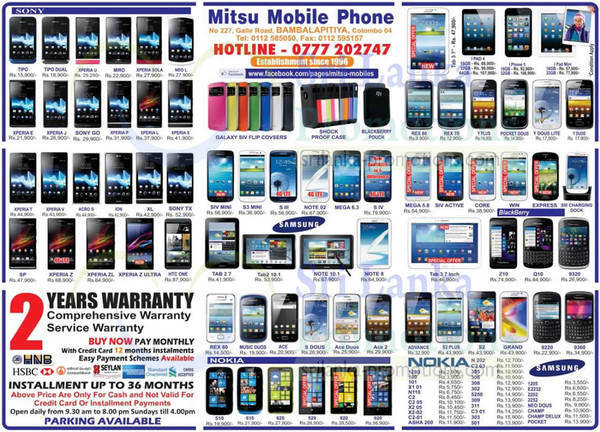 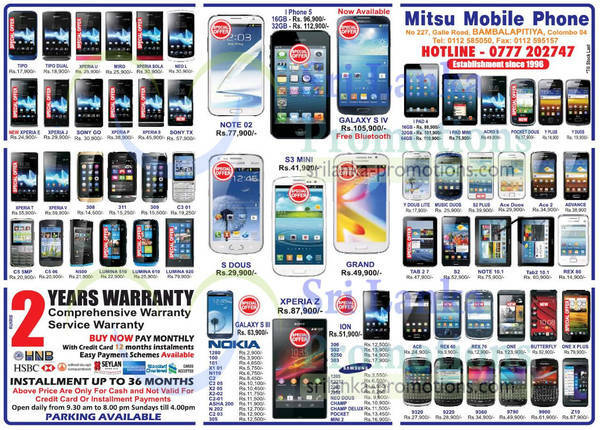 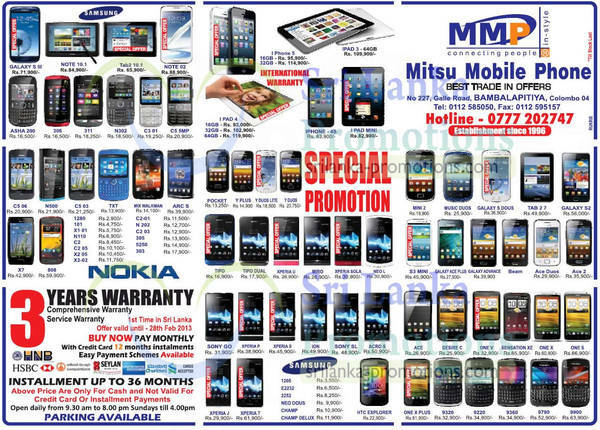 Here’s some of the latest smartphone and mobile phone offers from Mitsu Mobile Phone in Bambalapitiya, Colombo as of 16 September 2013. 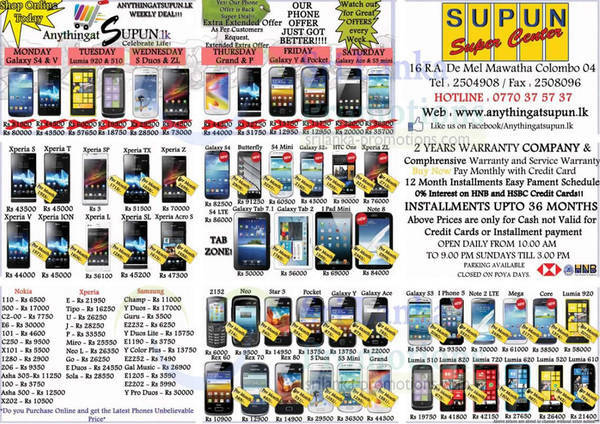 Check out Supun Super Centre mobile phones and smartphone offers. 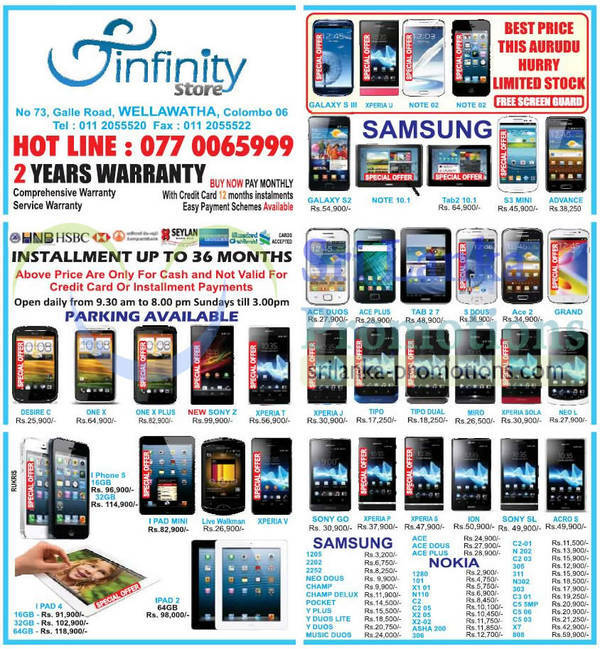 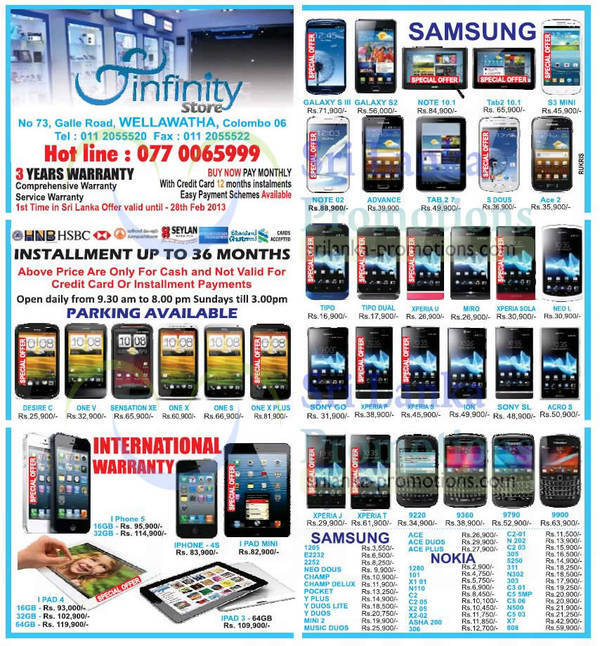 Here’s some of the latest smartphone and mobile phone offers from Infinity Store.